NEW YORK (WABC) -- Two models of fidget spinners have been removed from store shelves because they contain high levels of lead. 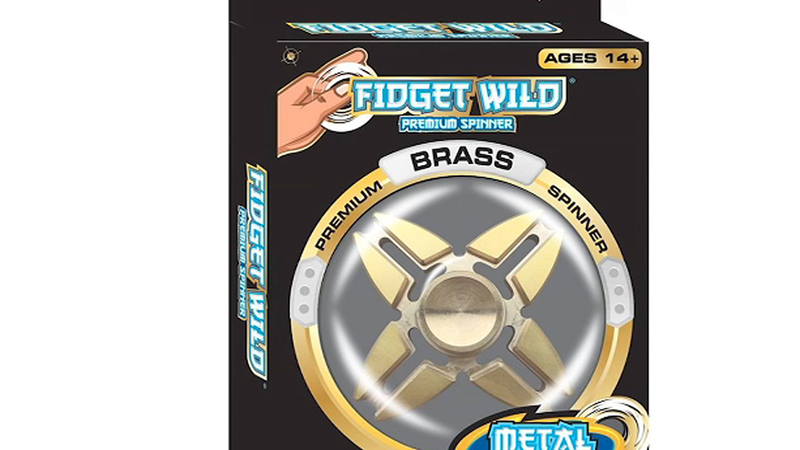 A new report found Fidget Wild Premium spinners in both brass and metal contained dangerously high lead levels. The toys, advertised for ages 14 and up, were sold at Target. Target has since pulled the spinners from shelves. Though, no official recall has been issued. The U.S. Consumer Product Safety Commission requires all children's products to not exceed a total lead content level of 100 ppm. Paint or surface coatings must not exceed 90 ppm. The process to remove the two fidget spinners from Target stores began Friday. The company claims the products did not break any guidelines because they fall under a different "general use" product standard. But, after the company reviewed the products, it decided to pull them anyway.